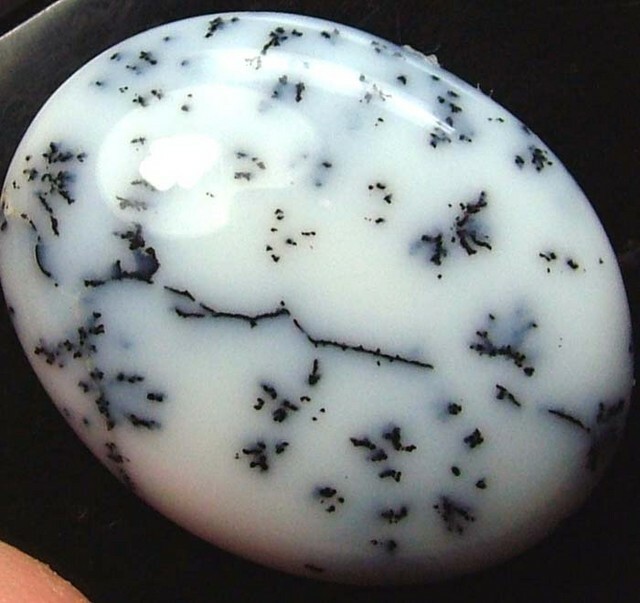 The dendrites in dendritic agate are iron or manganese inclusions, usually brown or black in color. 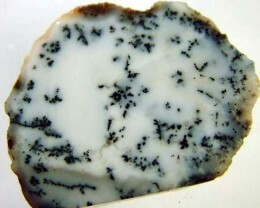 Though they appear organic due to their fern-like structure, they are actually inorganic; they are formed at fine fracture surfaces through crystallization weathered solutions of neighboring rock. 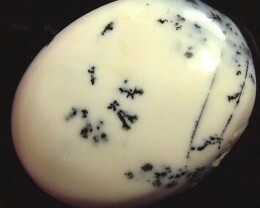 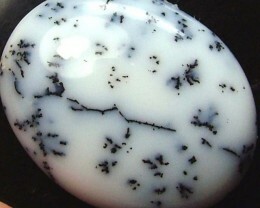 Dendritic agate can be tricky to cut because the dendrite inclusions occur at various depths in the rough stone. 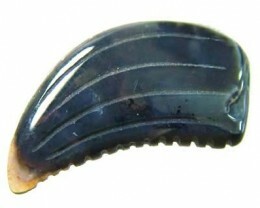 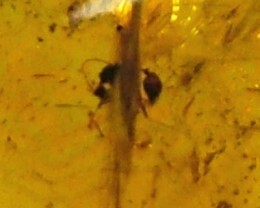 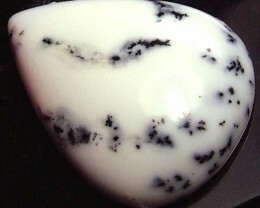 The lapidary needs to cut the material to expose the most interesting patterns. 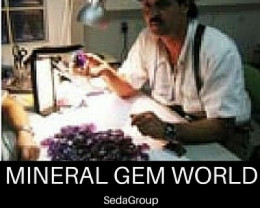 The famous Russian jeweler Carl Faberge, who was a supplier to the Russian Imperial Court from 1885 to 1916, used dendritic agates together with diamonds and other precious stones for many of his pieces. 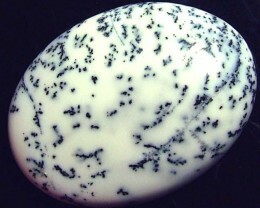 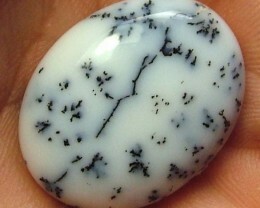 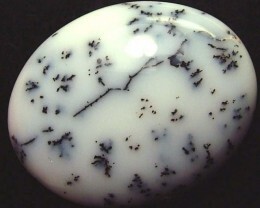 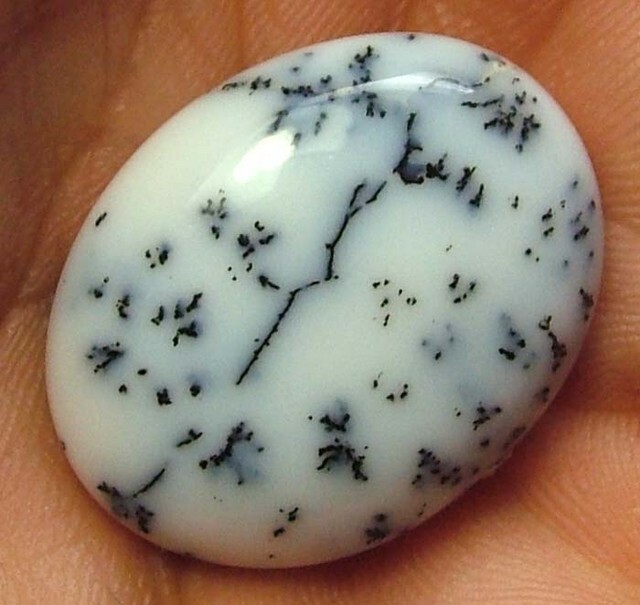 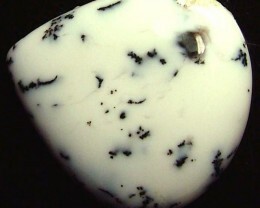 Dendritic agate is prized in Russia as a stone of long life, good health and prosperity. 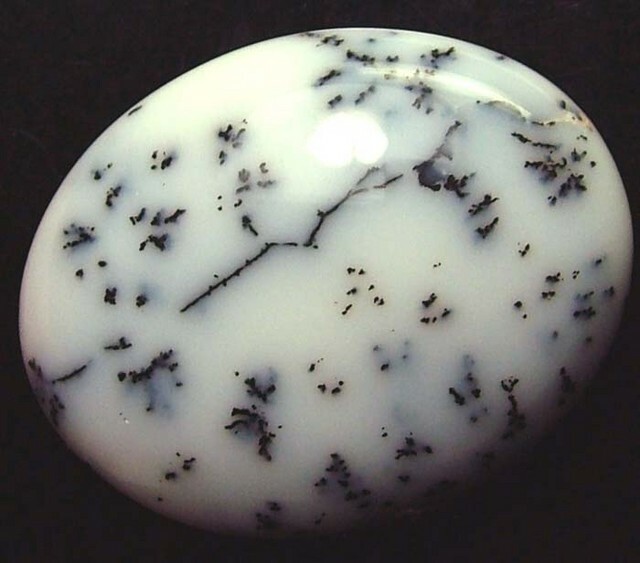 Like other chalcedonys, dendritic agate has a hardness of 6.5 to 7 on the Mohs scale, a specific gravity of 2.59-2.67 and a refractive index of 1.530-1.540.